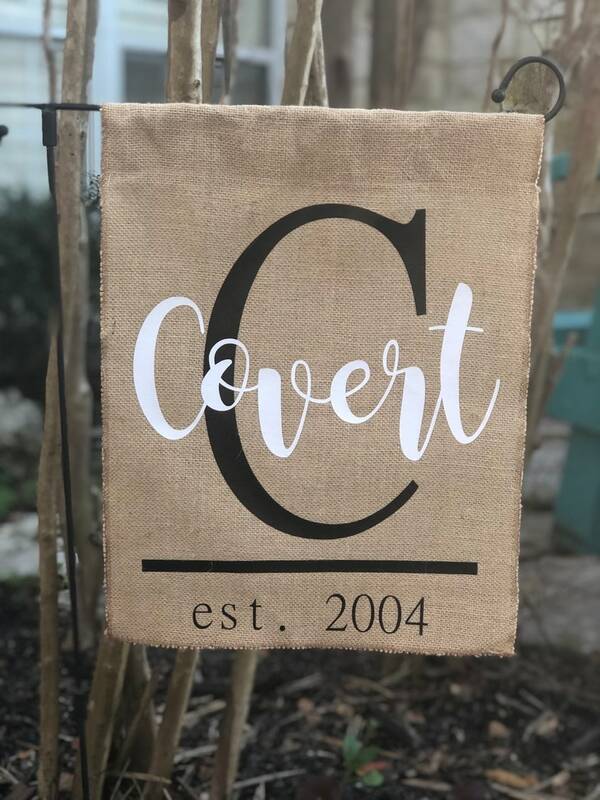 This personalized burlap garden flag is the perfect addition to your front yard garden area. Burlap flag measures 12" x 16" and an 1 3/4"pocket. This flag will come personalized with last name, last name initial and year of marriage. Year of marriage can be left off if you prefer. Personalization is applied using high quality heat transfer vinyl and they are NOT embroidered. This flag is perfect year round. Arrived promptly. Looks beautiful. Thanks so much! Very cute! Shipped quickly also!